Tonight marked the 20th anniversary of the Screen Actors Guild Award show, an award ceremony that has become a great precursor to help predict how the acting categories could turn out for the Oscars. The biggest reason for this is that the actors who make up this guild also make up a large part of the voting group for the Academy of Motion Picture Arts and Sciences. Tonight Lupita Nyong’o took home a Screen Actors Guild Award for her brilliant role of 12 Years a Slave, beating out Jennifer Lawrence who recently won at the Golden Globes. Arguably the most exciting category was for the Best Male Lead category, where Matthew McConaughey, Bruce Dern, and Chiwetel Ejiofor all had a fair shot of winning. Though it was Matthew McConaughey (Dallas Buyers Club) who puts himself in the front of the race for the Oscar with the win here. McConaughey’s counterpart in the film, Jared Leto, also walked away a winner. Unsurprisingly, Cate Blanchett (Blue Jasmine) won for Best Female Lead and American Hustle for ensemble cast. On the television side of things, Bryan Cranston (Breaking Bad) and Michael Douglas (Behind the Candelabra) continued to add to their trophy collection from their Golden Globes wins from last week. 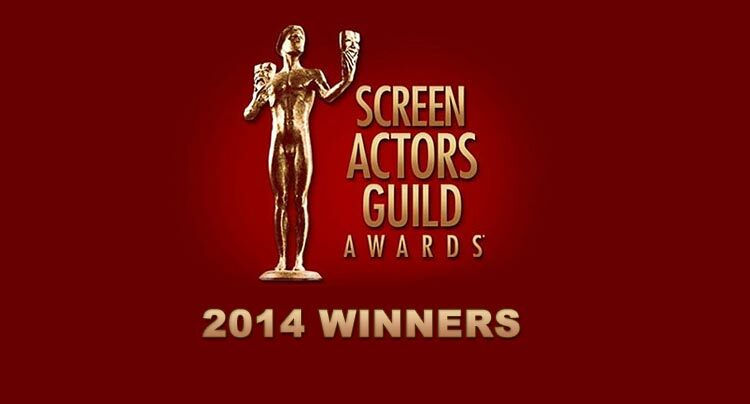 Other big winners were Julia Louis-Dreyfus for Veep and Maggie Smith for Downton Abbey. Also, Rita Moreno received a Lifetime Achievement Award for her work in film, broadway, music, and television.